Since the purchase of a home represents the largest financial investment you will probably make in your lifetime, you will want to have a proven professional home inspector on your side when making that important decision. Unfortunately, finding the right inspector for your home inspection may not be an easy task since home inspector qualifications and abilities vary considerably across the industry. Many inspectors have little or no construction experience, and even fewer have an engineering background as these are not requirements for working in the home inspection profession. However, possessing a construction background significantly improves a home inspector’s ability to understand how the complex systems in a home function and operate. And similarly, having a formal engineering background, in conjunction with the home inspection and construction expertise, improves this ability even further. So, when risking your life’s savings, you will want an exceptional home inspector whose qualifications greatly exceed the minimum requirements of the profession. Experience is important, but keep in mind that having the right experience is what’s most important. 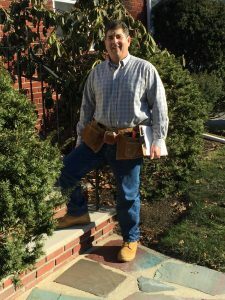 My name is Larry DiPietro, and I have spent my 35+ year career in the home inspection, construction and engineering industries. Please read more about me, and call on me when you need an accomplished professional to inspect your dream home.